Julie’s hand-sewn wallets, totes, and purses showcase a rare variety of materials, from hair-on cowhides to traditional smooth leather. The Makers Market returns to Nicollet today, June 27, 2018, 10:30a - 2:30p, between 6th and 7th streets. 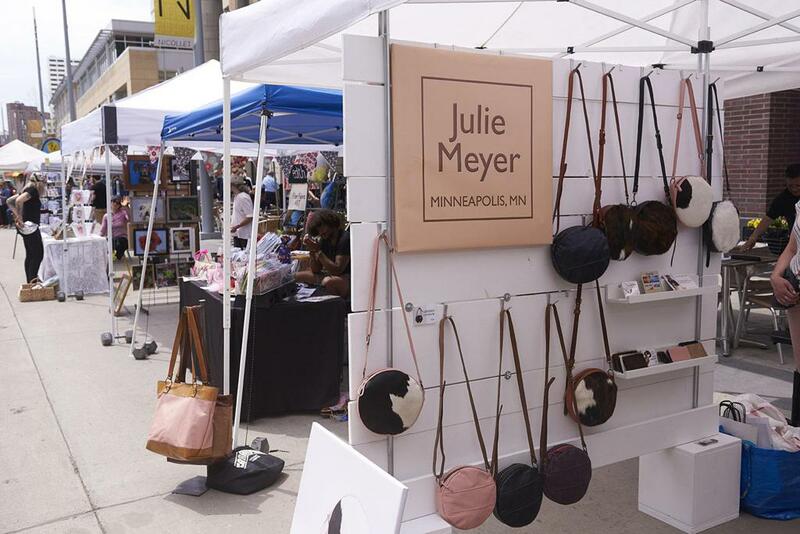 Among the craftspeople whose handmade goods will be arrayed on Nicollet is Julie Meyer. Meyer’s hand-sewn wallets, totes, and purses showcase a rare variety of materials, from hair-on cowhides to traditional smooth leather. Her sewing practice has seen an evolution from lowly materials as she first honed her craft, to the high quality, locally sourced leather she uses now, and from clothing, curtains, and pillows in her college days to the striking combinations of function, durability, and style now embodied in her limited-edition handbags. For Meyer, as for a would-be owner of one of her bags, the joy begins in the materials. She says she used to walk by the fine leather hides she uses for her products just to touch them, fascinated by their natural detail and variety. “When I bought one for the first time it was three weeks before I could bring myself to cut into it,” she laughs. Given her strong tactile connection to the materials she works with, she says it only makes sense to source them locally. The quality of Meyer’s finished products conjures the image of a full-fledged production company behind the scenes, but the work simply reflects her own skill and dedication: she’s a one-woman show, working from a studio in her home. The growth of the Twin Cities’ craft market culture has meant an expansion of opportunities for her and craftspeople like her, and Meyer sees the Nicollet Makers Market as an exciting opportunity reach a new audience. “It might not be as many sales as you’d get at another market,” she says, “but it’s exciting because it’s a new audience, people who might not intentionally turn up for a craft market somewhere else.” As the season continues, she hopes the market will go from being a nice surprise for people coming out on lunch breaks to an event downtowners look forward to and plan on. The Nicollet Makers Market takes place on Nicollet between 6th and 8th streets, from 10:30a to 2:30p on the 2nd and 4th Wednesdays of the month, now through October 10th. 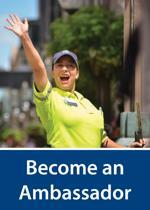 For more information, visit www.onnicollet.com/events.